Make your wishes more interesting and romantic. We have a collection of Happy Hug Day couple images with romantic quotes. Hope you will love it. 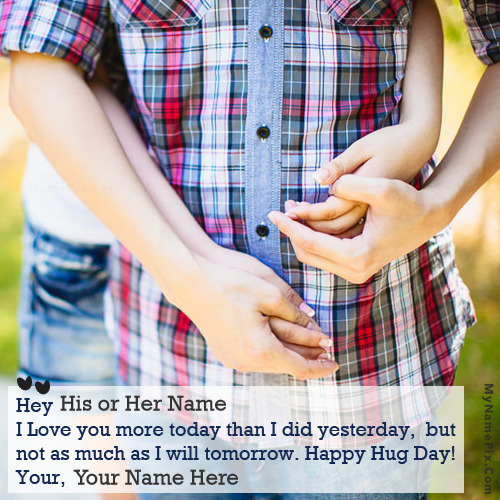 Also, you can write his/her name with yours on hug day images.